News - Word Omaha - Transitioning a Parent to Assisted Living? Your Elderly Parent Has Been Discharged from the Hospital. Now What? When an elderly parent is discharged from the hospital you are likely to feel a variety of emotions. While it is certainly a cause for celebration, the discharge process and transition can be stressful. This is especially true if you are unsure of the level of care your loved one will require once they leave the hospital and return home. Does my parent’s home have the necessary equipment to keep them safe? Will there be a responsible person at home with my parent? Who will be responsible for making sure that my parent gets the proper nutrition? What guidelines are in place for the correct distribution of medications? Knowing the answers to these questions will help reduce the chance of being blindsided when your parent arrives home. 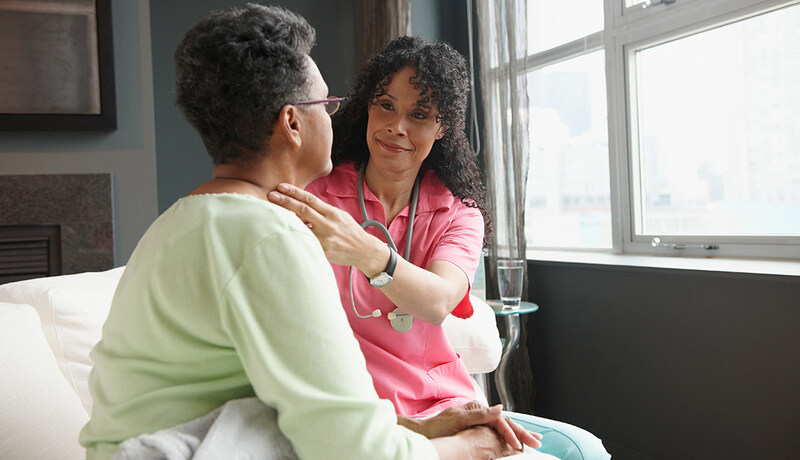 It also is essential that you talk with your parent’s primary care physician well in advance of discharge so that a specific health care plan can be put in place. What specific therapies will my parent require? Will we need help with bathing or dressing? Will my loved one require someone to be with them 24 hours a day? What problems or symptoms do we need to look for? Who do we call in an emergency? If your loved one requires medical equipment or an in-home caregiver, you should talk with their health insurance carrier or Medicare to find out what is covered before your parent leaves the hospital. Most elderly patients returning home after a hospital stay or stint in a rehab center will require time to adjust to their “new normal.” While in a perfect world you could be there with your parent 24 hours a day while they adjust, this is not always possible. The next best option is to arrange for in-home care. Interview potential caregivers to ensure that they are a good fit for your parent. A quality home health care agency will work with you to make sure your parent is comfortable with their in-home caregiver. Consider having the caregiver visit your loved one in the hospital so they can become acquainted. Ask the home health care agency to evaluate the safety of your parent’s home and recommend any areas that need to be addressed. For example, adding toilet safety rails. Let the caregiver know your loved one’s likes and dislikes. This includes everything from food to television channels. A successful discharge from the hospital and transition back to home can be stressful on your parent and you. However, having a plan in place and knowing what questions to ask will allow for as smooth a transition as possible. It also will go a long way toward preventing readmissions. https://private-duty.pchhc.com/wp-content/uploads/sites/3/2018/09/elder-1023145_640.jpg 426 640 physicianschoice http://private-duty.pchhc.com/wp-content/uploads/sites/3/2016/07/PHY_LOGO_Priv_Duty_final.png physicianschoice2018-09-07 15:56:132018-10-23 08:46:35Your Elderly Parent Has Been Discharged from the Hospital. Now What? More and more older Americans want to stay in their homes as long as possible. Thankfully, doing so may be more affordable than they believe. While in a perfect world, people would plan and save their whole lives for such situations, the reality is not everyone can or does—for a variety of reasons. In its article, You Can Afford a Home-Care Worker, the AARP offers tips for those planning ahead so they can afford in-home care in the future, as well as those who are in immediate need of such care. For those who are planning ahead, the article suggests investing in long-term care and life insurance policies with in-home care benefits. Physicians Choice Private Duty offers quality in-home care for seniors. If you have a loved one who wants to remain in their home as long as possible, give us a call at 402-332-2273 to discuss how we can help make that a reality. The majority of today’s seniors say they would prefer to stay in their own homes as long as possible. At the same time, many adult children stress over how they will be able afford in-home care for their elderly parent. The truth is, it ends up being more affordable than they think. You may believe that hiring in-home care for your aging parent is something you simply can’t afford. Think again. Not only is such care more affordable than you might think, there are resources available to families who need help. In-home health care is not a luxury reserved only for the rich. Families from all income levels are able to afford in-home care for an elderly parent. The key is to do your homework. Keeping your elderly parent in his or her own home isn’t as expensive as you might imagine. It will, however, depend on things like the type and amount of care required. Think You Can’t Afford In-Home Assisted Living Care for Your Elderly Parent? Think Again! When an elderly parent wants to stay at home, it is unlikely that they will be able to do so without some amount of help. Whether they will need assistance with personal care and daily activities or require specialized nursing care, it is the rare senior who can truly go it alone. Even when family members are nearby to help, hiring in-home health care assistance will likely be necessary. The good news is that home care is usually much less expensive than moving your loved one to an assisted living facility or nursing home. The need for in-home assisted living care is exploding with more and more aging baby boomers looking to age in place. According to the Bureau of Labor Statistics, the number of home health care aides will expand to approximately 1.3 million by 2020, an increase of 70 percent from 2010. The Centers for Medicare and Medicaid Services report that Medicare and Medicaid currently pay for 65 percent of home health care costs. Other payments come from a combination of state and local governments, seniors themselves and private insurance. When your parent uses savings to buy a conservative annuity designed for retirement, a lump sum is paid to a financial institution and a predictable monthly income is provided for life. 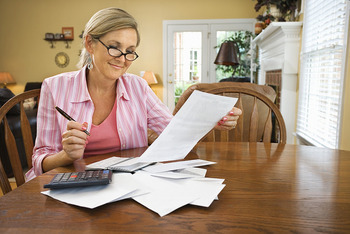 A tax or financial advisor can help you decide if this is the best option for your parent. There are several nonprofit groups that help pay for in-home assisted living care, especially if the individual suffers from a specific medical condition such as Alzheimer’s or diabetes, for example. Individual or Group Life Insurance Policies. Some policies have cash value that can be used toward qualified in-home assisted living care expenses. An accelerated death benefit charges for long-term care up to a certain amount per day or month. Typically, these benefits are capped at 50 percent of the death benefit. This type of insurance pays for health and personal care in a variety of settings—including private homes. Financial planners will tell you that it is in your best interest to buy this type of insurance before it is needed. It also is important to choose your policy carefully as different companies have different benefit conditions. Medicaid benefits vary from state to state so contact your regional Agency on Aging to learn if your parent qualifies. When in-home assisted living care is needed for only a short period of time, Medicare may cover up to 100 percent of the costs for low-income seniors. Seniors who don’t qualify for standard Medicare may qualify for in-home personal care through All-Inclusive Care for the Elderly. This type of mortgage provides cash for in-home assisted living care care but the homeowner is still responsible for taxes and other bills. Tread carefully with this option as equity in a home can run out while care is still required. A financial, mortgage or tax advisor can help you decide if this is a good option for your parent. The Veterans Administration offers a variety of subsidized home care services for veterans and their families. Contact your local Veterans Administration office for information. The majority of today’s seniors say they would prefer to stay in their own homes as long as possible. In-home assisted living care provides them the freedom to do so without breaking the bank. https://private-duty.pchhc.com/wp-content/uploads/sites/3/2018/06/seniorliving.jpg 281 500 physicianschoice http://private-duty.pchhc.com/wp-content/uploads/sites/3/2016/07/PHY_LOGO_Priv_Duty_final.png physicianschoice2018-08-06 16:10:052019-01-14 14:49:42Think You Can’t Afford In-Home Assisted Living Care for Your Elderly Parent? Think Again! When the time comes to decide where your elderly parent should live, you have a lot of options. While this is a good thing, it also can be overwhelming. Even if you are familiar with the most common types of senior living arrangements, from adult communities to nursing homes, there are still a variety of things that you must consider before moving your parent out of their current home. In its article, Housing Options for Seniors, http://familydoctor.org suggests talking to your loved one’s doctor for guidance. Some questions you might want to ask include, How do I know if my parent is ready for a senior living community? What types of medical care or assistance will my loved one require? Will this be a short-term or long-term living arrangement? Physicians Choice Private Duty helps care for seniors in all types of situations. If you are struggling with the decision about where to move your loved one or would like to hear about the type of care we offer, call us at 402-332-2273. There have never been more options when it comes to finding a place for your elderly parent to live. And while this is a good thing, it also makes it more difficult to decide what option best suits the needs of your loved one. One thing is for sure, however. As much as possible, keep your parent involved in the decision-making process. It can be difficult to know what is the best option for your parent when you don’t understand those options. Many people have a difficult time admitting that their older parent is no longer safe—or happy—in his or her current home. Deciding where your parent should live as he or she grows older is a difficult decision. While much will depend on his or her health, there are other considerations, as well. The good news is that there are a lot of choices. The bad news? There are a lot of choices. Adult Communities. These neighborhoods for older adults are usually made up of houses or townhomes but also can include apartments, condos or even mobile homes. The only requirement for this type of housing is that residents are 55 years or older. Residents of these type of communities are completely independent and have no issues living on their own. The popularity of these communities stems from the fact that they allow older adults to socialize and participate in a variety of activities with other older, active adults. Independent Living Communities. Made up of apartment-style housing or condominiums, independent living communities also allow seniors to live with their peers. Many of these communities offer the option of private duty health care services. It is common for such communities to have a relationship with a single private duty care company. The company may even have an office located in the complex. Assisted Living. Similar to adult or independent living communities, assisted living offers social activities along with health care services. This apartment-style housing is designed for seniors who require help with things like meals, medication management, transportation, as well as bathing or dressing. The needs of assisted living residents can vary significantly with some residents fairly independent while others may have dementia. There are typically special units for seniors who require a higher level of care. Nursing Homes. Also referred to as skilled nursing or extended care facilities, nursing homes are staffed with nurses and other health professionals 24 hours a day. In some cases, seniors stay for only a short period of time, for example, to rehab from a fall or surgery. Others live there permanently. Medicare or Medicaid may cover some costs for residents of a nursing home. Continuing Care Retirement Community. This type of community meets the needs of all types of seniors, from independent living to highly-skilled care. As their needs change, seniors can move to an area within these communities that meets their particular needs. While expensive, these communities allow seniors to age in place. When it comes to senior living, there really is something for everyone. So how do you decide what is best for your loved one? Talking to his or her physician is a good first step so you know the level of care your loved one requires. In a perfect world, money would not be an option when it comes to deciding on the best living arrangement for an elderly parent but this is seldom the case. Therefore, it is important to set a realistic budget before you begin your search. The next step is to make a list of what you and your parent are looking for in a senior living community. Does your parent want an active social life? How much assistance does he or she need in terms of everyday activities? Are there major medical issues that need to be managed? As much as possible, try to keep your parent involved in what is a major life decision. While it is tempting to believe that you know what is best for your parent, it is important that he or she has a say. Remember, your parent will be the one who will live there, so you want to make sure it is a place where he or she can be well-cared for, happy and comfortable—for years to come. At Physicians Choice Private Duty Omaha, your loved one will find the right health services. Start now! With the number of older adults in the U.S. expected to grow tremendously over the next four decades, housing options for seniors need to go far beyond just nursing homes and assisted living facilities. Promotion of financial security of housing assets. In other words, according to AARP, senior housing should meet the needs of the elderly, regardless of their age or ability. If your elderly loved one wants to age in place and remain a vibrant part of his or her community, Physician’s Choice Private Duty can help to make sure that happens. Call us at 402-331-2273 to learn how to make sure your loved one stays at home as long as possible. Turn on the television or pick up a brochure on senior living options and you will be astounded at the seemingly endless options of spectacular living arrangements for your aging parent. These include facilities that boast everything from fitness centers to cooking classes to walking trails and water aerobics. And the demand for these types of facilities is exploding. According to the University of Virginia, between 2010 and 2040, the number of Americans over the age of 65 is expected to grow by 90 percent. Of course, it is easy to choose a nursing home or assisted living facility for your aging parent when you are assured that he or she will be busy taking nature walks or watching movies in a state-of-the-art theater. The only problem with such facilities is the fact that they are expensive-in most cases, prohibitively so. “While developers and researchers think seniors want more active communities-and perhaps they actually do-most will be unable to afford such a development because all the amenities cost money and don’t generate revenue,” according to Tim Manion of First Care Companies, an assisted living management company. Thankfully, senior living is no longer synonymous with nursing homes or assisted living facilities. In fact, more and more real estate companies are designing new housing developments that include mixed-generation housing. In other words, seniors are living in neighborhoods and apartment buildings which house a wide-range of residents. For instance, many seniors today live in a house just across the street from a young family or in urban areas where buildings contain a mix of renters, from young, single professionals to married couples with children. Since many seniors are on a tight budget, developers across the country are working to make sure these housing options are affordable, too. And since seniors-like most people-have different tastes, developments are popping up in rural, suburban and urban areas alike. One thing seems certain; however, no one wants to be placed in isolated nursing home or assisted living facility, separated from the rest of the world. Instead, today’s seniors have come to expect living arrangements that will make them feel vibrant and connected to the communities in which they live. The nation’s growing senior population also is forcing a shift in the way news homes are constructed. Single-level floor plans, wider hallways and other design elements allow for easier access and the ability for in-home health care professionals to come and go. In the past, older Americans were likely to retire to states like Arizona and Florida but today, more seniors are looking to age in place. This means that senior-friendly housing is in high demand across the United States for seniors who are reluctant to pick up and leave their church, their doctor and their family and friends behind. All of this proves that there really is no place like home.